Can I attend one of your practices prior to registering? – Yes, we encourage you to come out for a few practices to see if the club is the right fit you prior to registering. If you like what you find, please consider joining as an official member! After registering, we’ll add you to the club’s weekly newsletter to provide you with more information regarding the workouts, upcoming events, and training advice. I live in Fairfax/Manassas/Reston/McLean. Do you have members that live out this way? – Our members live and work throughout Northern Virginia, DC, and Maryland. We have members that come from Quantico, Loudoun County, and Bethesda, MD on a regular basis. I am interested in possibly joining the running club. Is it too late? 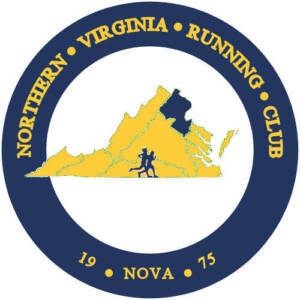 – It is never too late to join NOVA Running Club. We practice throughout the year and regularly have 20-30 people in the winter and even more in the spring, summer, and fall. Membership is on a rolling annual basis from the day you join. I would like to know if your club is open regardless of the level. I haven’t joined a club before. – Our club is open to runners of all levels, ages, and abilities, regardless of whether or not you desire to train for races. We welcome you to come out for a few practices to meet the club and find a a few training partners at your level to practice with. Do you have club long runs? – While the focus of the club is our Tuesday night track workouts, members meet throughout the year for long runs, starting at different areas throughout Arlington, Alexandria, and DC. There are always groups training for their next half or full marathon and long runs are an integral part of that training. We also have a small group that meets Thursday nights for a secondary workout/tempo or easy run. Do you have any more information about joining and the benefits? – Yes. Once you join, you’ll be added to our club’s weekly email newsletter where we provide a message from the club’s President, the workout from our Coach, and information on upcoming races, happy hours, and other events. You will always have full access to our training advice and resources, and we are happy to help you develop a training plan for your next race. Are there any requirements for a new member to participate in the Tuesday night workout? – No requirements. Just show up, introduce and tell us a little about yourself, and be ready to work out. I am running my first marathon this fall and I was looking for a way to get training information and find fellow runners to complete longer runs with. Would your club be a good fit for me? – Yes. As a group, our club members completed over 60 marathons and half marathons last year and have a collective wealth of experience and knowledge when it comes to training and racing, whether it’s your first or 51st marathon! Is this a marathon training team? – Many of our members do train for marathons, but many club members train for shorter races too. Others don’t, or very seldom, race at all. It’s all up to you and what you want to get out of the club. Throughout the year, our members race everything from 100 meter track events to ultra-marathons and trail runs. We also have a number of triathletes (sprint through full Ironman) looking to improve their run time. How much is membership and where do I sign up? If your question was not answered here, please send an email to northernvirginiarunningclub@gmail.com and we will get back to you!